Yes....You can buy a home! Owning a home is one of the most rewarding things you can do. It generally is less expensive than renting and there is a chance for a substantial financial gain in the future. In America the single biggest investment most of us make is in our homes. It is exactly that, an investment and it will become a vital part of your life and provide stability for you and your family into retirement. Buying your first home is very exciting but it can also be a bit scary. This is normal. A good Realtor will take the anxiety out of the process. There are many programs out there that allow you get down payment assistance, great interest rate, great prices and even assistance to remodel your new home. Most programs are geared to the mid to low income buyers but you don't need to be in that category to get into some of these programs. Call us and ask your Realtor the specific questions to get started. If possible get a copy of your credit report. Your lender will pull your credit when you apply for a loan and instruct you further when the time comes. Knowing your score prior to meeting a lender or shopping for a home will allow you begin repairing any dings you may have. Get as much revolving debt paid off as soon as possible. Revolving debt is incurred by using your credit card. Revolving debt isn't necessary a bad type of debt if used properly. Always pay it off each month and this will have a positive effect to your credit score. If you have a bunch of open credit lines or credit cards this will have a negative effect on your credit even if you never use them. Lenders will view it as how much debt a borrower could pile up and how fast. Lenders are investing in you. Your mortgage is part of their investment portfolio and they treat it as so. The more credit you have available to you the higher risk you become. Decide what you can afford and set aside money in anticipation of buying. 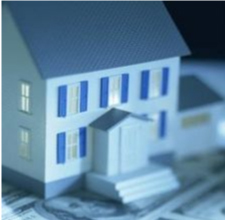 Even with down payment assistance you will need to have some cash available. There is no loan that will not require something from you. Set aside additional money for moving and preparing your new home. There is money that will have to be spent to get into your new home, such as, deposits for utilities, phone, cable, etc.... There may be a need to hire help to move, if so, set aside funds to cover this. Decide where you want to live. There are many factors involved in choosing a location. An obvious concern is how close is the home to your work and shopping. Some other criteria are; entertainment, health of the neighborhood and region, future growth, present and future economic stability, access to major roads, and access to airports to name a few. If you choose an area that doesn't meet all your needs you will find yourself looking for a new home and lose the benefit of participating in any first time home buyer program. Gather financial documents that lenders will require for your loan package. Things like your W2s, two to three years of tax returns, personal balance sheet, and profit and loss statements for any businesses you may own. This list does not include all things a lender will need and will depend on income and type of loan you are applying for. We hope this helps on the road to home ownership!